ISLAMABAD: After Qatari prince’s letter controversy in which Prime Minister Nawaz Sharif was grilled by Pakistan Tehreek-e-Insaf chief Imran Khan, it appears that the tables have now been turned on the latter as some important questions regarding the purchase of 300kanal land in Bani Gala have surfaced. 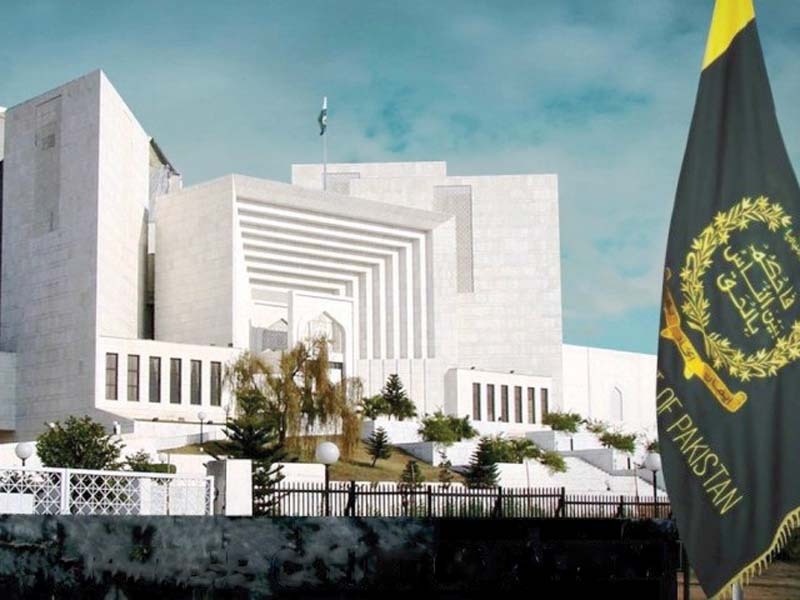 The Supreme Court’s three-judge bench, headed by Chief Justice of Pakistan Mian Saqib Nisar, received a fresh application from counsel Akram Sheikh, on behalf of his client PML-N leader Hanif Abbasi on Monday. He pointed out, through the application, a number of missing links in establishing the money trail regarding the purchase of Bani Gala land by Khan in 2002. The counsel questioned Khan’s statements regarding the purchase of the said property. Khan had said he had sold his London apartment to pay for the Bani Gala property. Khan had purchased the Bani Gala property before he sold the London apartment on March 14, 2003. How could he have paid for the Bani Gala land with the money obtained from selling the London flat? The application stated that Khan signed the sale agreement with initial down payment of Rs6.8 million on March 3, 2002. The Bani Gala land was worth Rs40.35 million. Till January 23, 2003, he paid the rest of the amount in instalments. However, to buy the said property, it is said that Khan had borrowed $660,693 or Rs39.061 million from his ex-wife Jemima Khan. Jemima had transferred the said amount from her UK bank account to Rashid Ali Khan’s account with the Citibank, Islamabad. Sheikh questioned the entry of PTI chief’s representative Rashid in the purchase of the land. The PML-N’s counsel claims that in the chain of transactions put forth by Khan and upon which he relies as the proof of the money trail of the source of funds for the purchase of the Bani Gala land there are numerous glaring missing links; source of the ‘available resources’ of Khan in March 2002, actual remittances made by Jemima to the account of Rashid, loan repayment made by Khan to Jemima and location, movement, placement and declaration of the balance funds being approximately $423,000 from the total sale proceeds of approximately $1.08 million. The top court’s bench verbally asked PTI counsel Naeem Bukhari to give response over this application regarding the money trail about the purchase of the Bani Gala land. However, PTI spokesperson Fawad Chaudhry told The Express Tribune that they will give an appropriate response to the petitioner’s queries on their turn, which will come tomorrow (Wednesday). 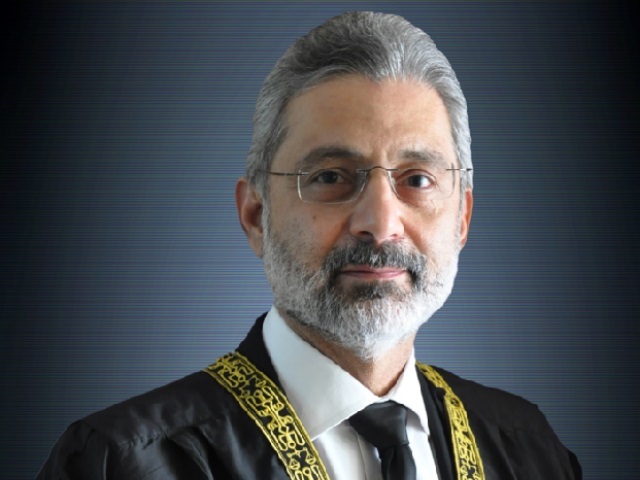 While hearing Sheikh’s petition regarding disqualification of Khan as a member of the National Assembly for concealing assets, the chief justice observed that they could not do so on the basis of presumptions. “There should be solid material for this purpose. Such disqualification is a lifetime stigma and we are very conscious about it,” the chief justice said. He said there is different value of Jemima’s interview or tweet and her affidavit. He, however, made it clear that non-disclosure of assets is tantamount to disqualification of NA membership. The chief justice asked Bukhari to give a detailed overview regarding the formation of offshore companies. Earlier, Sheikh had questioned when Khan sold his London flat in 2003 then why did he keep his offshore company, namely Niazi Service Limited, alive for 12 years? Regarding money trail given by Khan, Sheikh says that there is nothing but money laundering. He also questioned whether such a person could lead the nation? In 1997, Imran Khan lied on oath in his nomination papers when he mis-declared his assets. In 2002, Imran Khan also lied on nomination papers, he was also elected as MNA, which is public office as his salary was paid by the public for 5 years. In 2013, Imran Khan again lied and didn’t declare his offshore company that he closed down in 2015.